White-haired, suit-wearing Presbyterian lawyers don’t typically garner the fandom of teenagers, but Mr. Z did. Each week dozens of us would gather in his home. He would feed us and let us trash his house, watch movies, and play basketball. Each gathering would culminate in a Bible study. I met Mr. Z in high school because I was invited to his home for just such a study. For a year I kept coming back. This unlikely mentor taught us Ephesians. Verse by verse, he explained this beautiful book to us. His love for the Bible was infectious, and I caught it. I didn’t know it until later, but I’d fully embraced the doctrines of grace—doctrines I hold dear to this day. As I matured, I would always go back to Ephesians. Like one of those well-worn paths beloved by hikers, Ephesians became my favorite trail to trek when I wanted to encounter the sovereign majesty of God. But something stuck out to me that I never got—something Paul prayed. He prayed that the Ephesians might know the “immeasurable greatness of his power toward us who believe” (1:19). No matter how hard I studied, power was never the result. Not this kind of power. Not until I met Pastor J.
Pastor J was like Mr. Z in a lot of ways. Both older guys, both wise, both godly, both with a deep love for Scripture, and both with a sharp intellect. But Pastor J had a different set of gifts. Pastor J would pray for people, and the things he prayed would actually happen. Pastor J would speak to people and say things about them no one else knew. As I got to know Pastor J, I came to understand that these were spiritual gifts. Again, my life was changed, and I embraced the miracle-working God. These two men—one deeply Reformed, one powerfully charismatic—personify two words that have come to describe me. I’m a Reformed charismatic. With one foot I’m firmly planted in the historic Reformed world. A graduate of Reformed Theological Seminary, I sat under the feet of world-class professors like John Frame. Yet my other foot is planted elsewhere—in the world of the modern, global, charismatic movement. I admire the missionary zeal of the global south and east along with the spiritual power and miracle-producing faith they embody. Yes, it’s an odd space in the church world to occupy. After graduating college and getting married, my wife and I moved to Edinburgh, Scotland, to be part of a church-planting team. For five years we labored alongside some amazing people, and in that time I came to be exceedingly grateful for Mr. Z and Pastor J. I prayed for people, and miracles happened. The Spirit would move through my words, and people would come to faith. I would teach the gospel, adorned with all the doctrines of grace and watch my students cherish these doctrines the way I did when they were shown to me years earlier in Mr. Z’s house. It was exhilarating and illuminating. Then I moved to Boston to plant another church. Again, the mingled power of the doctrines of grace and the gifts of grace produced the fruits of grace that finally convinced me: these worlds, Reformed and charismatic, need each other. As has often been noticed, charismatic experience can lead honest, well-meaning Christians astray into terrible error. The God-always-only-ever-wants-to-bless-you-and-make-your-life-great nonsense that accounts for some louder voices destroys our ability to suffer well. The Word of Faith movement is sometimes indiscernible from sympathetic magic. But that’s where the profundity of the Reformed love for the Bible can come to help. That is, if we would come to help. Just as concerning as it is when charismatics stay in their own sandbox, so it is with us Calvinists. I’m so grateful for the recent explosion of interest in Reformed theology. I was Reformed before it was cool enough to come with tattoos, plaid shirts, and beards, but it’s nice to be part of the in-crowd, I guess. But let’s not fool ourselves—the Reformed movement pales in size to the Modern Pentecostal/charismatic Movement (hereafter, MPCM). MPCM is the fastest-growing religious movement in the history of the human race. In 1900, there were statistically a meaningless number of such Christians. Presently, the number sits around 700 million (see Allan Anderson’s “Global Pentecostalism,” a paper presented at the Wheaton Theology Conference on April 3, 2015), or 1 out of every 3 believers. Just to put it into perspective, that’s more than the total number of Buddhists (around 500 million), Jews (around 14 million), and all folk religions (around 400 million) in the world. MPCM isn’t going away. Quite the opposite. And it’s not growing because they’re all heretics (many are, to be sure, but not nearly all). They’re growing because they’re making disciples. For as much as we Calvinists talk, think, and teach well on the subject, the charismatics seem to be doing more of it. To use my mentor’s metaphor again, we Calvinists construct a beautiful fireplace, but sometimes we struggle to get the fire going. We might learn something from our charismatic brethren, if we knew any. When I’m with my MPCM pals, I’ll often hear the bogeyman of the angry Calvinist doctrinal neat-nick who hates lost people. And when I’m with my Reformed friends, there’s often a ceremonial burning of the snake-handling, tongue-talking, money-grubbing Pentecostal straw man. This mockery grieves me, and I think it grieves God, too. If we’re to take Jesus seriously about the whole “they’ll know you are my disciples by your love for one another” thing, then we Calvinists must listen to our MPCM brothers. I’m not suggesting Benny Hinn as a conference speaker. I’m simply suggesting that we listen to what our orthodox MPCM friends are saying, not rebutting what they’re not saying. Love listens to our brother, even if we disagree with him. We’ve got to go deeper than blogs, Facebook rants, and drive-by comments on social media. God went out of his way to relate to people with whom he profoundly disagreed. We might consider doing the same. Calvinist pastor, take your charismatic compadre out for lunch. Forge an unlikely friendship. I recognize that many TGC readers are not continuationists, and that’s fine. But if you have any room for the exercise of these gifts today I would encourage you to reach out. Pentecostal minister, call up your Presbyterian pal and go play a round of golf. It may be weird, but by the 9th hole the banter will likely be great. Love also means that we commit to learn from each other. Can you imagine the exponential good that would happen if charismatics learned exegesis from the likes of Don Carson? What kingdom fruit would be born if Calvinists learned to exercise missional faith like our MPCM counterparts? I sometimes daydream about what could happen if the passion of the Pentecostal for the power of God and the passion of the Calvinist for the Word of God could be combined to accomplish the work of God. The world just might see the glory of God. This purpose means we’re going to have to lead. The history of the Western Church, particularly since the Reformation, is so pot-marked with breakups, splits, and violent divisions over second- and third-tier doctrinal differences that it’s little wonder our culture thinks Christians are divisive. We who cherish the doctrines of grace must lead in practicing grace toward those with whom we differ. And we can because the gospel shows us that this is precisely how Christ treated us. We can because the Spirit is available to enable such grace in us. We can because God knows that accomplishing the mission is going to mean we must work together. 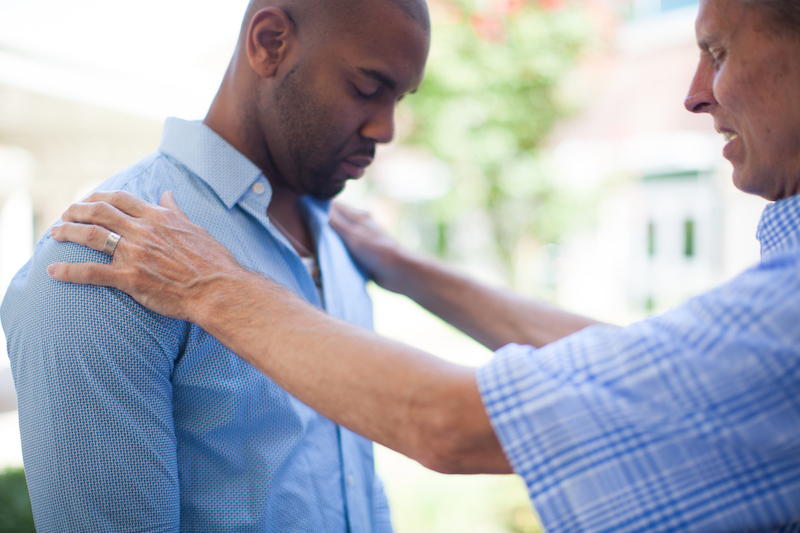 Charismatics and Calvinists need each other. We don’t have to agree to be agreeable. We don’t have to compromise our consciences to effect change. And we don’t have to sacrifice biblical faithfulness for spiritual power. We can have both, but to get both we’ll probably need to get around each other. Mr. Z and Pastor J haven’t ever met, but they just might make good friends. Maybe I’ll arrange the meeting. Adam Mabry is the lead pastor of Aletheia Church in Boston, Massachusetts, where he lives with his wife and their four kids. Passionate about church planting, campus ministry, and world missions, Adam writes, speaks, and coaches planters around the world, mostly through the Every Nation family of churches and ministries. He is author of the upcoming book The Art of Rest: Faith to Hit Pause in a World That Never Stops (The Good Book Company). You can follow him on Twitter or drop by his website. Is Spirit Baptism the Privilege of Every Christian?